Ask almost anyone what color a German Shepherd is and they'll describe a saddle back GSD with a black mask in some combination of black and tan or black and red. Black and Tan German Shepherds are most popular in the show-line German Shepherds. 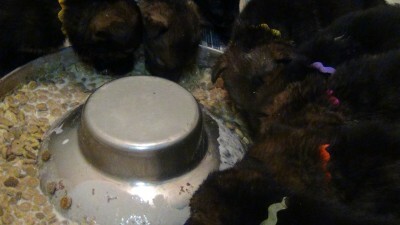 These are the German Shepherds you will see in the show rings and usually in the popular TV shows. This is what most people picture what when you say "German Shepherd". The amount of tan (interpreted as any shade of brown, from fawn, chestnut or silver to deep darker hues) or red (light red to mahogany) markings can also vary quite a bit from black and tan German Shepherd to black and tan (or black and red) German Shepherd. 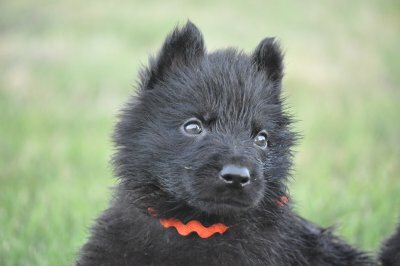 As a saddleback black and tan (or red) GSD puppy grows up the lighter ground color will spread all over it's body - over its legs, chest area, abdomen and around it's face and ears. It has also been my experience with black and tan German Shepherds in particular, that as they age (especially in senior GSD's) they lighten up more and more color wise, and the saddle back marking can fade quite considerably. 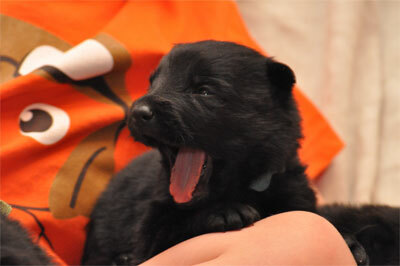 Below find a few pictures representative of the Black and Tan German Shepherd Dog.